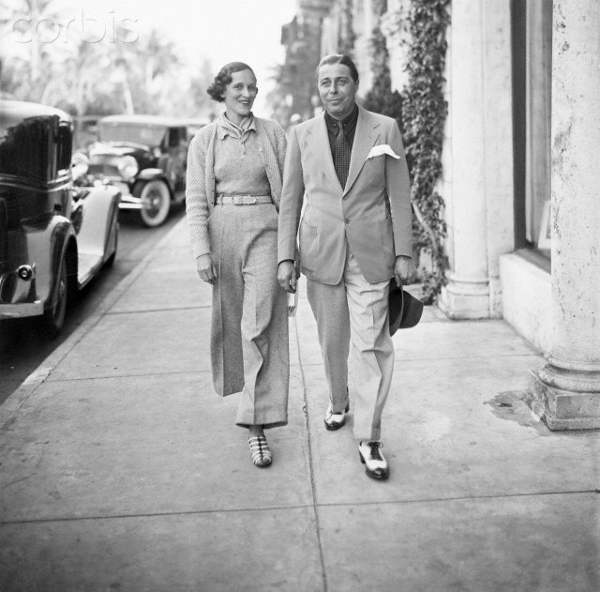 Mrs. Sophie Gimbel, born Sophie Haas, was one of the world's most influential designers in the Thirties: she was head of the custom-made department of Saks Fifth Avenue and her husband Adam was president of the same enterprise. 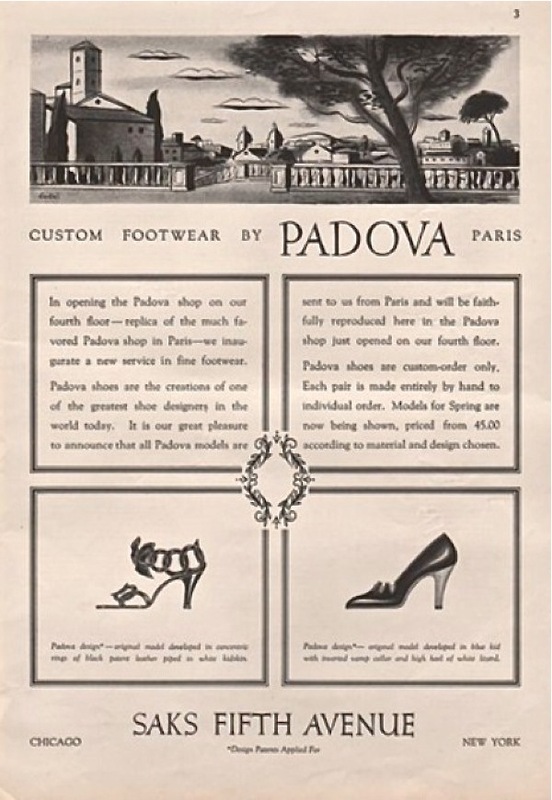 André Perugia was their best shoe designer: in 1933 he had created the brand Padova, which was exclusively distributed within the U.S by Saks. If truth be told, we should have added a question mark to the title. 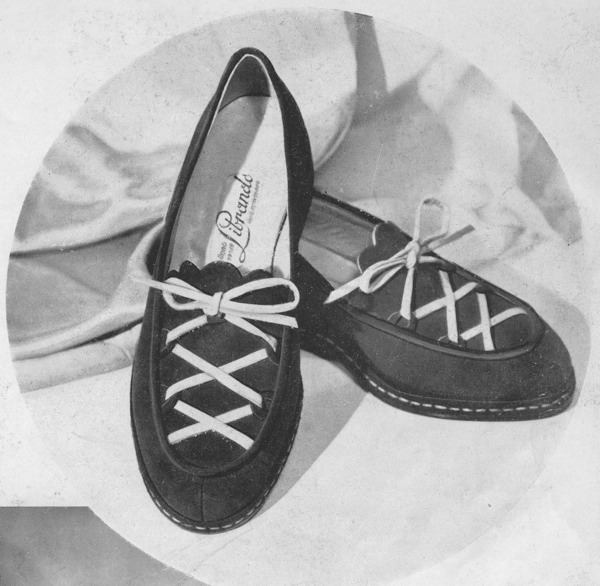 In the photograph above Mrs Sophie Gimbel wears a sandal that looks like a Perugia sandal; maybe it was another variation, maybe not. 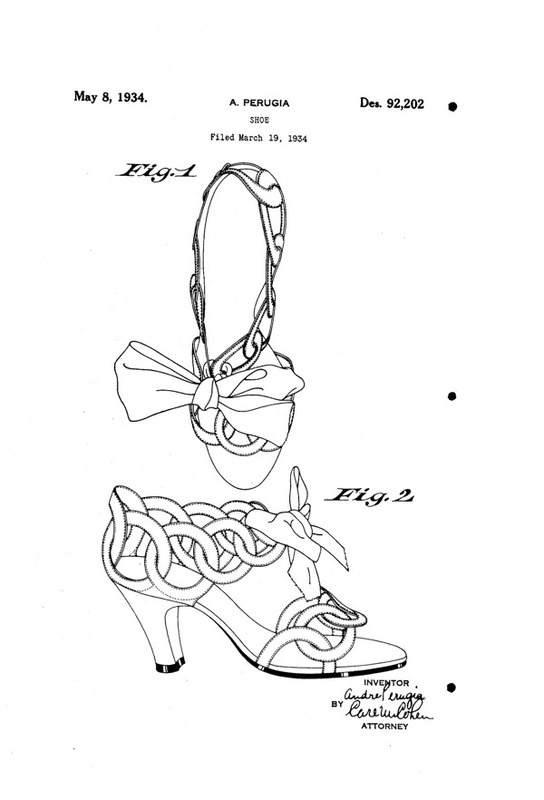 What we do know is that the sandal was available in two versions (at least): one with a flat sole, the other with an upward tip oriental-style (shown below). 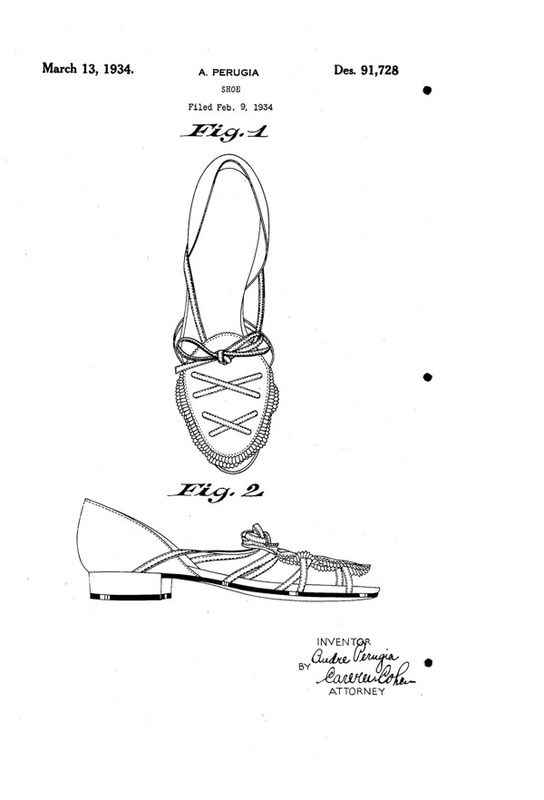 Apparently these three Padova models are not to be found anywhere, so just for now, the André Perugia patents would do it. 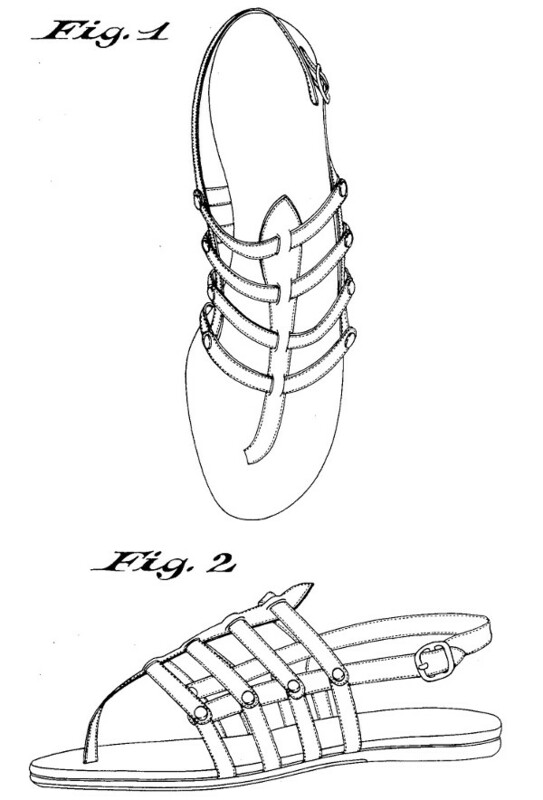 Anyway, about the sandal here below, you are in for a little surprise . 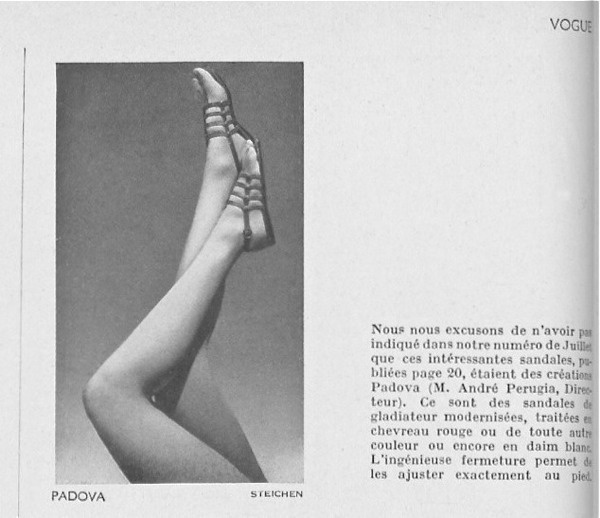 Can't be mistaken: it'a a PADOVA sandal. Check out all the details and you'll see for yourself: bicolor sole, the mini studs, the buckle and the little triangular leather strip on the neck of the foot. We took the liberty to publish the photo rotated by 90° degrees clockwise, so we apologize to Mr. Steichen. 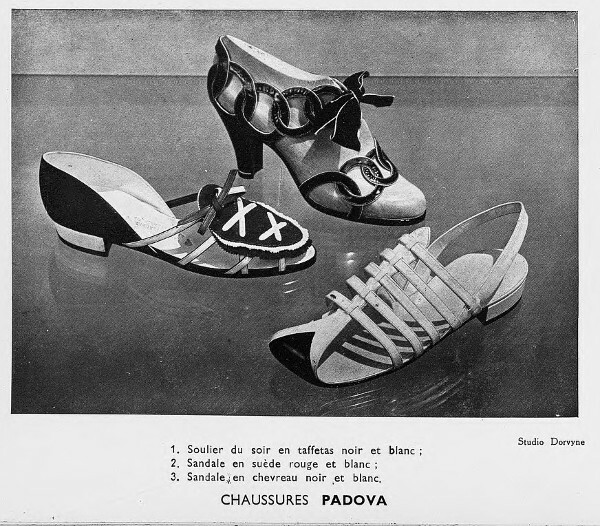 We apologize for not indicating that these interesting sandals, published on the July issue, page 20, were Padova creations (André Perugia, Director). These are modernized gladiator sandals in red kid or white suede. The ingenious buckle makes a perfect fit.